My favourite genre right now is fantasy. Important in that sentence are the words ‘right now’. I go through phases where I keep reading the same genre over and over again until I find the next genre to obsess over. Lately I have been trying to mix it up a bit though. I prefer hardbacks over paperbacks. They look nicer on the bookshelf and you don’t have to worry about breaking the spine while you read. My bookshelves are a choatic mess of Dutch and English books. I used to buy books in Dutch but when it turned out to be the first in a series, I could never wait until the sequels came out in Dutch (seriously, it takes eons! Or they just don’t translate the sequels, which is even more annoying) so I bought them in English. The result is chaos and it hurts me everyday when I see my chaotic bookshelves… Now I just try to buy everything immediately in English. I’ve been a bookworm ever since I was a little kid. My favourite books growing up were the Goosebumps, Fear Street and Animorphs books. During my high school years I had a major reading slump. The main reason was that there was just a lot of mandatory reading so I did not feel like reading was a hobby anymore. The books that cured me from this reading slump where the Harry Potter books. I am a huge Harry Potter nerd. Harry Potter and the Deathly Hallows is the only book ever where I went to a special release party so I could get it as soon as humanly possible. I then finished the book in 24 hours. I have no regrets. On average I read about 1 to 2 books a week. I feel weird when I don’t have a book that I’m currently reading. I read mostly in the evening before going to bed. I have yet to find a comfortable position to read in bed without the book either falling on my face or my arms going numb. I also like to read during lunchtime at work. Some evenings I can read over a 100 pages. Some evenings I fall asleep after 2 pages. I call this balance. I love the Lord of the Rings books but for some reason I stopped reading The Hobbit about halfway through and never picked it up again. I have not yet read any book that features all 3 at the same time, but I think it sounds amazing. An ecclectic group of assassins bonding on a roadtrip? Somebody get on that. 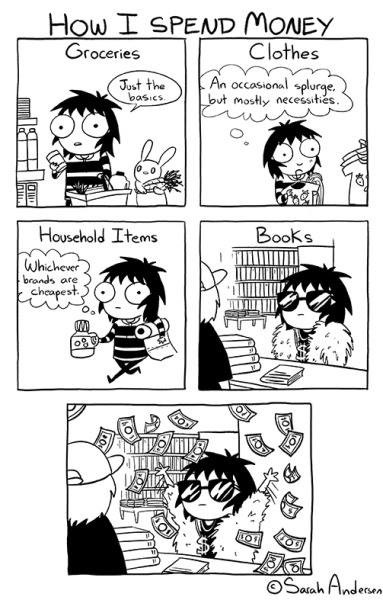 I buy most of my books online. Mostly because Belgian shops have a very limited selection of English books. Also because I love unboxing the packages that arrive from online orders – they feel like a present every time. I am not planning to read the Game of Thrones books. Ever. I have them on my shelf, but I have watched (and loved) every episode of the TV show and I just have no desire anymore to start the books. There, I said it. Please don’t judge me. I don’t like novellas. Even if it is a novella from a series that I loved, the chances are low that I will read it. I feel like I will only be disappointed because the novella will never give me the same feeling as the series itself. So I just don’t try them. Only exception: The Assassin’s Blade bindup of novellas by Sarah J. Maas. I love love love any book by Sarah J. Maas. If I would have to choose one favourite author (which is one of the most difficult choices you can ever ask a bookworm), it would be her. Definitely. Also J.K. Rowling. And Leigh Bardugo. One of the most important things in a book for me are the characters. Other things that define my rating for a book are the writing style, the plot and the worldbuilding. But honestly, if I really fall in love with the characters and they have great character development, I can ignore flaws in the rest of the writing. One of my biggest pet peeves in books is instalove. I am a hopeless romantic and I love romance in books, but it has to be realistic and instalove is never realistic. I need the slow burn romance. I need to feel the feels and believe in the love. I love writing book reviews. Though I do tend to use the words epic, glorious and awesome a bit too much. This one time in high school my Dutch teacher told me I had a great writing style. Ever since then I’ve been dreaming of someday writing my own book. However, I have zero imagination and no clue as to what I would write a book about or how I would start. I once started writing my own book as a kid. However, since I have zero imagination (see point 20) it was a blatant rip-off of a Fear Street book I had just read, but with me and my friends in the main roles. I wrote one page. Let’s never speak of it again. I read both adult and young adult fiction. Young adult often has a bad reputation (see point 23 on book snobism) but I think that YA can be just as good or even better than adult fiction. They just happen to have younger characters. I’ve read YA books that have had better writing, character development and world building than some adult books. I dislike book snobism. There are lots of different books and genres out there and everybody should just read whatever they want to read. It should not matter what you like to read, whether it’s fiction or non-fiction, YA or adult, romance or fantasy, classics or recent releases, comics or magazines, and so on. Just read what you like to read and don’t make other people feel bad about their book choices. I love recommending books to friends but it is also one of the most nerve-wrecking things out there. What if I recommend them a book that I love, but they hate it? What if they just don’t finish it? The stress, it is unbelievable… But when they love a book I love, then it’s the best thing in the whole wide world! I’m a firm believer in bringing a book to social events. If it is perfectly acceptable to sit at a bar or restaurant and be checking your phone all the time, it should also be acceptable to read your book. Also, why not read together? It would be so much fun. But seriously, even when you’re out having fun, it’s still nice to know that there’s a book ready for you whenever you need it. I tag you! What are some bookish facts about you?